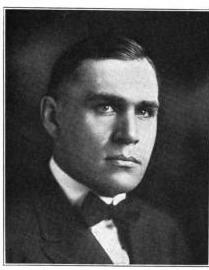 Today in Masonic history Frank C. Rathje was born in 1881. Frank C. Rathje was an American banker. Rathje was born in Bloomingdale, Illinois on August 21st, 1881. He attended St. John's Northwestern Military Academy. In 1903, he was froced to drop out due to a lack of money. In 1959, the school would present him with an honorary degree. He would go on to attend night classes at Northwestern University Law School. He would eventually graduate with a Juris Doctorate. Northwestern would give him an Honorary Doctorate of Business Administration in 1946. In 1917, Rathje founded the Mutual National Bank of Chicago. He would be simultaneously the president of the Chicago City Bank and Trust Company. The banks were two of the 7 banks in the Chicago area that the United States Treasury allowed to stay open during the Great Depression. Rathje, foreseeing the imminent economic collapse, raised capital through bond sales and commercial real estate to weather the economic collapse. Neither institution experienced a run on the bank. In 1945, Rathje was elected as the President of the American Bankers Association. In that capacity, he would consult with President Harry S. Truman and his cabinet regarding post World War II economic recovery. Rathje served as President of the Transportation Association of America. From 1937 to 1954 he was a member of the Chicago Plan Commission. Rathje passed away on February 24th, 1967. In his will he would leave much of his estate to the Glenwood School for Boys and Girls. In 2000, the Glenwood School would dedicate their St. Charles, Illinois campus to the Rathje family. Rathje was a member of Englewood Lodge 690, Chicago, Illinois.